At Pony Tales Farm, we strive to provide a warm and caring environment for both horses and people. We are located in North Ridgeville, Ohio but service all of NE Ohio's pony needs. Pony Tales Farm is home to several rescued and rehibilitated ponies, and is a permanent sanctuary for those that cannot be placed anywhere else. If you have questions or would like to make a donation, please read about our Rescue Program by clicking the link on the left-hand side of this page. Our non-profit facility offers Pony Camp for kids of all ages, year-round at reasonable prices. Our Pony Camp features a multi-leveled program designed around the care and training of horses and ponies, and riding basics in both Western and English. 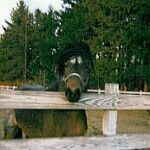 We also have a special Therapeudic Riding Program, designed for our students with special needs. For students with disabilities, equine-assisted activities have been shown to improve muscle tone, balance, posture, coordination, and motor development, as well as emotional well-being. Plus, it's fun! Our Community Outreach takes our ponies all around NorthEast Ohio and the surrounding counties of Cleveland. You will find us at birthday parties, festivals and carnivals, day care facilities, area schools, and even hospitals and nursing facilities! Our Pony Ambassodor, Apple, is a small and gentle pony who loves to make new friends. She has been welcomed at area schools and hospitals for an "up close and personal" visit with children of all ages. 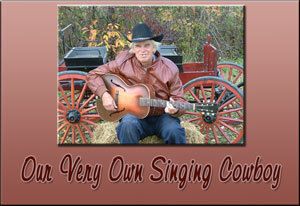 Our "Singing Cowboy", Bill, will brighten your event with songs and music from the Old West. Nothing takes away your troubles like the rhythmic gait of a horse and buggy. Let us bring our buggy or sleigh to your next business or social gathering, and we guarantee the memories will linger long after everyone has gone home. The fun doesn't stop there! Browse our site - there is something here for everyone, and photos galore! Using the links on the left, you will learn more about what we do at Pony Tales Farm. To arrange for a visit, please call us at 440-899-9992. If you have an idea that brings horses and ponies together with people, we will help you develop your idea into reality. Give us a call - we will be very glad to hear from you! Have a birthday or special occasion coming up? We are now offering economical Pony Tales Farm gift certificates good for Pony Camp sessions! Plus look for special Barn Parties at our barn and Pony Rides at festivals all around town. Call Ms. Lorraine at 440-891-9992 for details. Want to learn more about ponies? Click Jack for our Online Pony Camp! please click here to e-mail for permission first!